Over the past few months Louis has been putting together a new stand up special. Instead of releasing it via the usual channels however, he decided to fund the project himself, set up a website and release the show as a download for the super low price of $5. The show, Louis CK – Live at the Beacon Theater, directed by Louis and put together for around $170,000 (so, not on the cheap then) went on sale five days ago, with some naysayers predicting modest sales and even a financial loss for Louis. Taking into account the costs of the website ($32,000), the project, as well as taking up quite a lot of his time, has cost Louis just over $200,000. That means he has to sell 40,000 downloads just to break even. The message from Louis CK is clear. He’s prepared to put his balls on the line to offer value for money to his fans, cutting out middle man costs and not ripping anyone off (it’s also worth noting at this point that all the material on the DVD is new too – so no rehashed routines from previous DVDs!). Well, the great news (especially if your Louis) is that the project has proved to be a huge success. In it’s first 12 hours on sale, his show had been bought and downloaded 50,000 times! Which (minus the man hours) is a profit of $42,000. Not bad in 12 hours eh? Since then, it’s gone on to sell a whopping 110,000 downloads – which before tax and transaction fees have been taken into account is a massive $200,000 profit. IN JUST FIVE DAYS. To read a statement from Louis CK, detailing the project and it’s success click here. 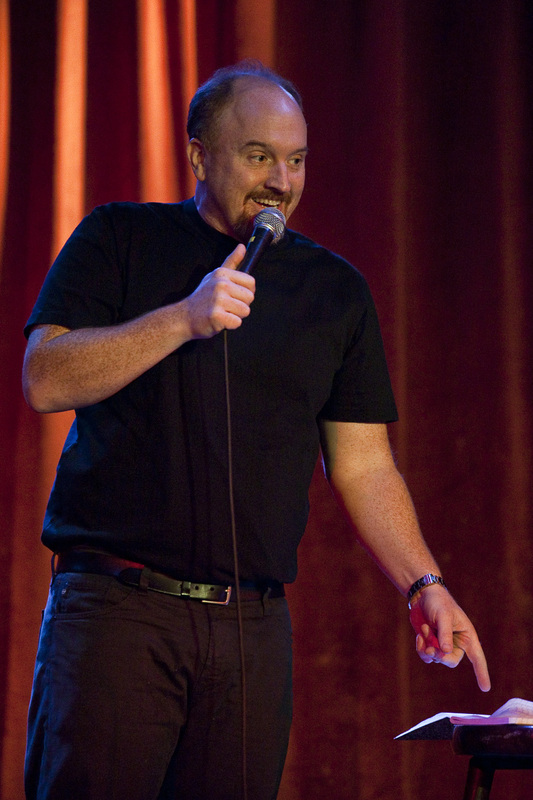 To buy, Louis CK – Live at the Beacon Theater click here. This entry was posted on December 14, 2011 at 7:23 pm and is filed under Comedy with tags $5, comedy, comedy news, download, funny man, live at the beacon theater, louis ck, new release, project, stand up, success story, website. You can follow any responses to this entry through the RSS 2.0 feed. You can leave a response, or trackback from your own site.